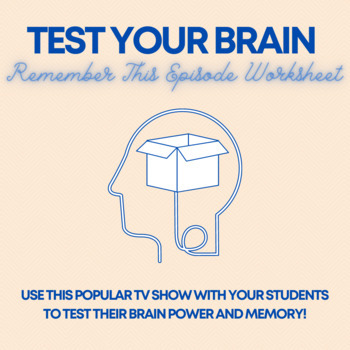 Brain Games Worksheet: Remember This! 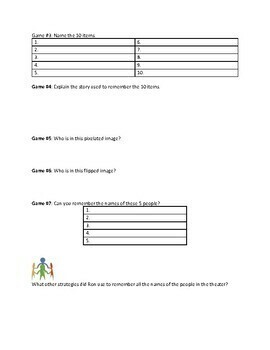 Worksheet for Season 1 Episode 3 of National Geographic's Brain Games. 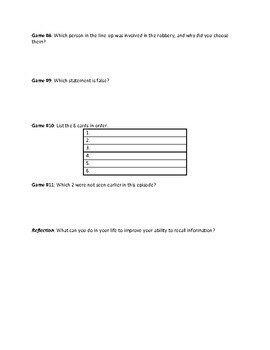 Students should complete this worksheet as the episode plays. There are interactive games throughout the episode. 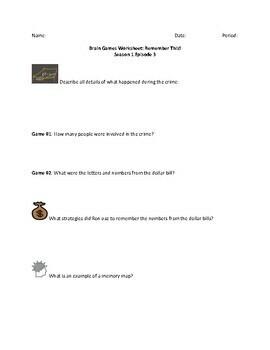 It is 50 minutes long, but you may want to pause when the interactive games asks questions so the students have time to write their response. I purchased Brain Games on Amazon video to stream in class. Answer key is included. This episode focuses on strategies to recall information, and moving information from short term to long term memory. I recently used this for my 10th grade AVID class but have used for other CTE classes in the past.